Our Dream Disney Designer Trip was absolutely incredible. From seeing the children’s smiles at our Character Breakfasts to awesome training poolside, from ending with the Red Hot Disney Party at Hollywood Studios to building new and lasting relationships not only among other Jewelers, but among other Premier families – everyone had an unforgettable week! Congratulations to all those who worked hard enriching lives and were able to join Premier in Disneyworld. There are so many wonderful Disney memories and experiences; many captured by our trip photographers and found in our Dream Disney 2013 album on Flickr! Here are a few special moments from some of our Premier Leaders. Share your favorite Dream Disney Trip memories with us by commenting below or on our Facebook page! It really was a fantastic Designer trip, and we are excited to announce the 2014 trip at our National Rally in just a few short weeks! 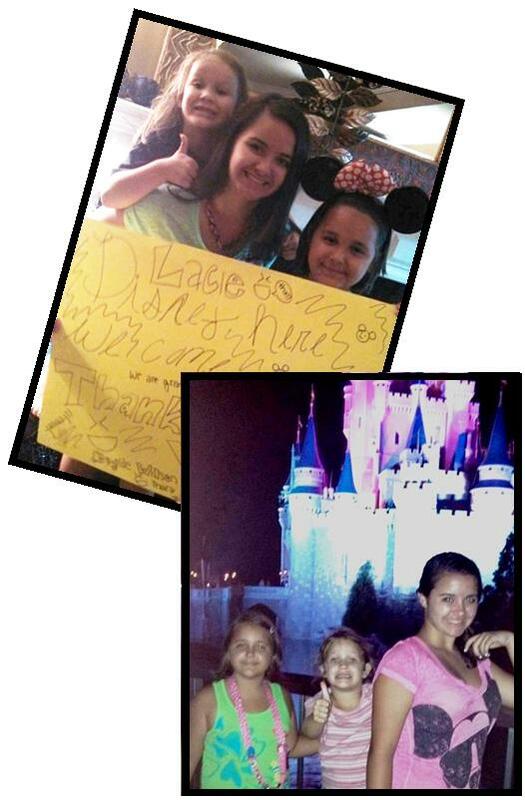 My daughters, Baylie (6), Lacie (12), and Kylie (9), were super excited about the Dream Disney trip with Premier! We are so thankful to all our Hostesses and Customers who helped us earn this trip! I am so blessed and thankful for your friendship and support. My girls made this sign to show their appreciation as well! We had a blast at Disney! My 3 sweeties really enjoyed the parade and fireworks show at Magic Kingdom. Thank you Premier for such a magical time!!!! So blessed to be a part of such a wonderful company and family! 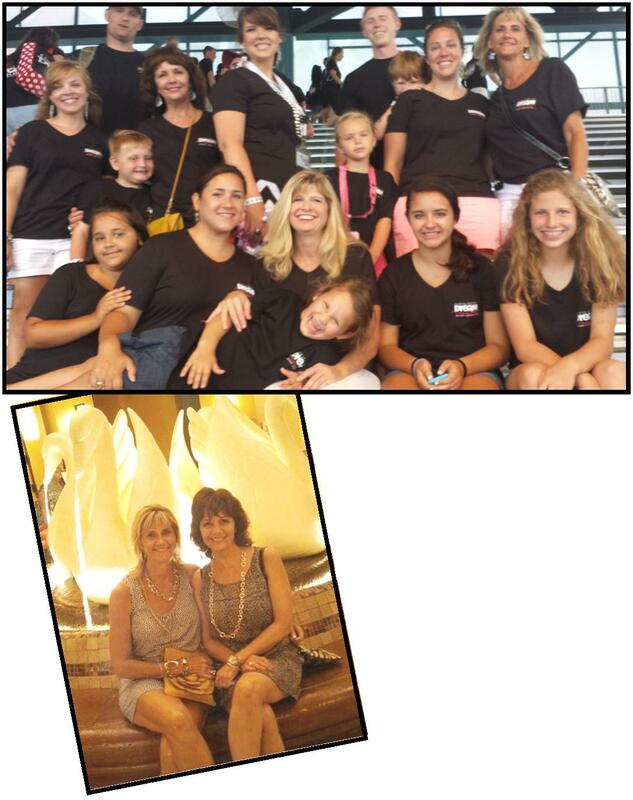 I really enjoyed the trip to Disney with my friends and Premier family! Some of these ladies I have been friends with for 20 years but have never had the opportunity to meet their children. It was fun to get to know them! It was neat hanging out and training with so many Premier Leaders at the gorgeous Swan an Dolphin Hotel pool! On Saturday, it was exciting to see everyone in the same Premier t-shirts at Hollywood Studios for the closing event! As we walked around the park that day, people were asking who and what we were which gave us the opportunity to share about Premier. Premier really treats us well! I have so many priceless memories with my Downline and friends, and I can’t wait to start working to earn the next trip. It’s worth the work … I will be there! We had the most wonderful family vacation ever! Thank you Andy, Tim, Peggy, Bob, Kevin, Gina, and ALL our Premier Family Peeps!! This was a trip full of memories for a lifetime!! We loved this family picture from our last Premier Disney trip in 2004 with Andy and Joan when our kids, Michael, Zachary and Briana first met them! What a special moment. We were blessed to have the opportunity to re-create the moment with Andy this year with Joan watching from Heaven above! My friend Lisa just informed that she will be selling your jewelry. I am very concerned about hypoallergenic earring posts like “Simply Whispers” earrings. Is that what your earrings offer? Non-allergenic nickel-free earring posts. Please send me an email with your reply. Thank you so much.